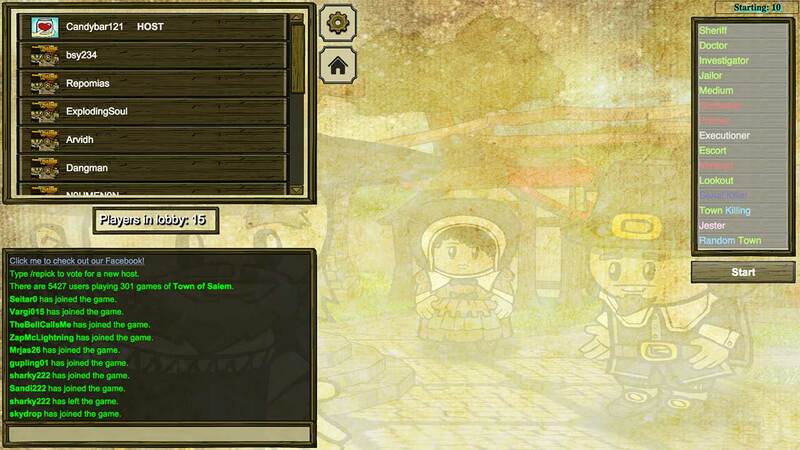 Town of Salem has 48 unique roles ensuring a different experience each time you play. 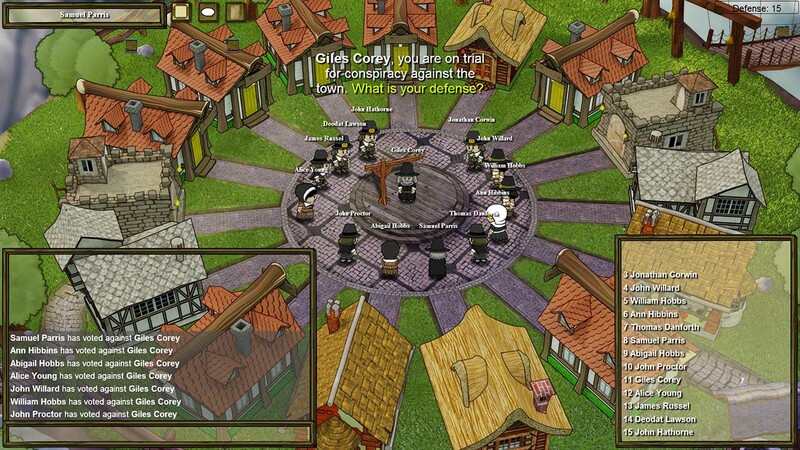 Before a Town of Salem game starts, players are put into a lobby where the host can select what roles will be in the game. 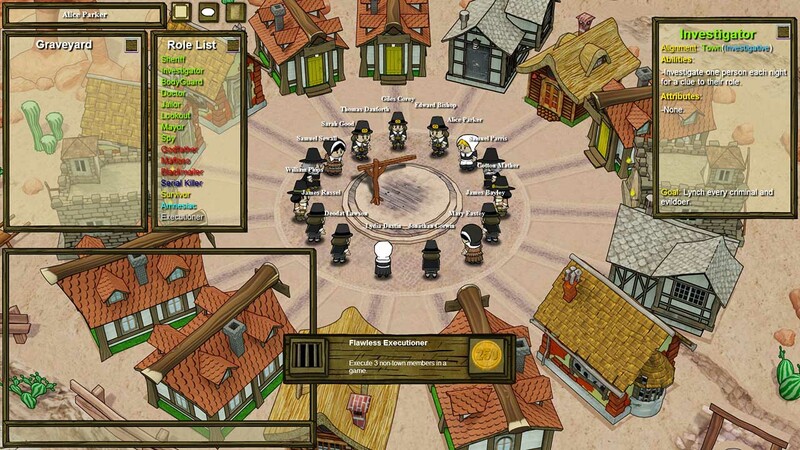 Players are then assigned roles at random from the list of chosen roles. Players have an in-game role card that explains their roles abilities and alignments. The night phase is when most roles use their abilities. Serial Killers stealthily murder people, Doctors heal people who are attacked, Sheriffs interrogate people for suspicious activity, the Witch or Coven Leader control the abilities of others, Escorts “distract” others from using their abilities, etc. 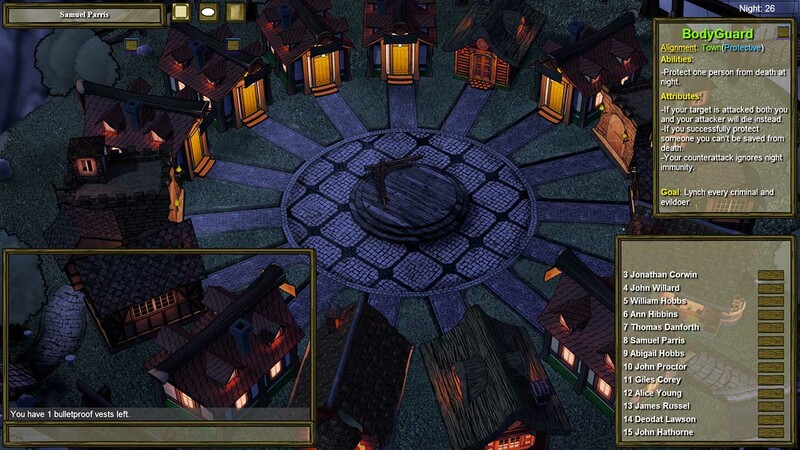 The discussion phase is when Town members chat about who they suspect of being an evil role. Once voting starts, a majority vote from the town will put someone on trial. If someone is accused, the defense phase is when they will plead their innocence to the town. Have a convincing story or find yourself facing the gallows! During judgement, the town votes on the fate of the accused. Players can vote guilty, innocent or abstain. If there are more guilty votes than innocent votes the defendant is sentenced to death by hanging! 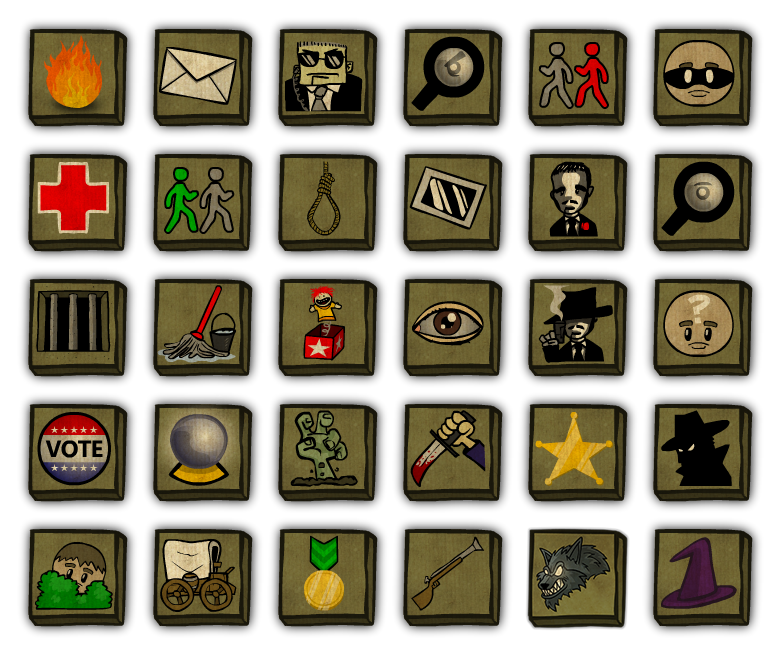 There are currently over 300 unique achievements in the game. Earn Merit Points by unlocking Achievements. Achievements are unlocked when you do certain impressive feats, such as burning five people at once as the Arsonist. You can view all the Achievements you have unlocked and the ones you have yet to get on your homepage. Get the rarest Achievements and show ’em off to your friends!